WorldCat makes interlibrary loan easy. Use it when the items you need are not available from Search@UW. 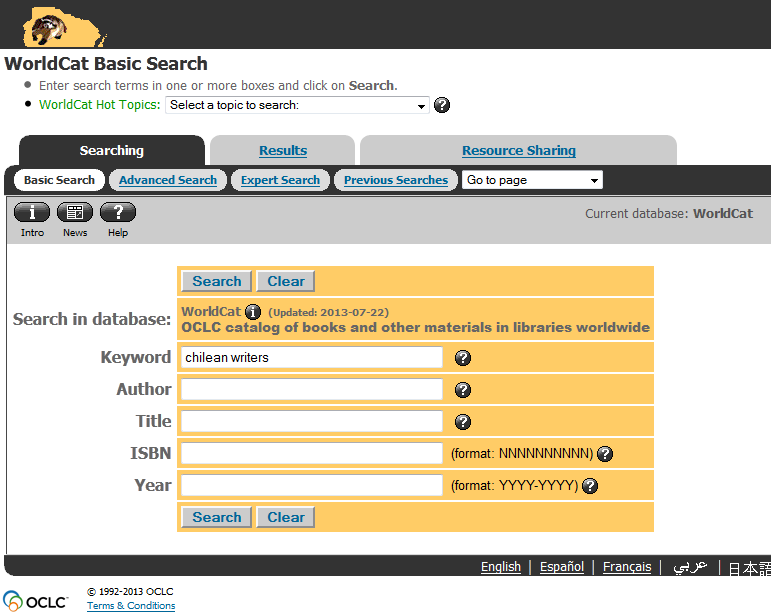 Here are step by step instructions for using WorldCat to make interlibrary loan requests. WorldCat will open. Type in the title, keyword, or author of the material you are seeking. The keyword search "Chilean writers" retrieved over four hundred records to browse through. Results can be filtered by using the tabs provided or by using the boxes underneath the tabs. 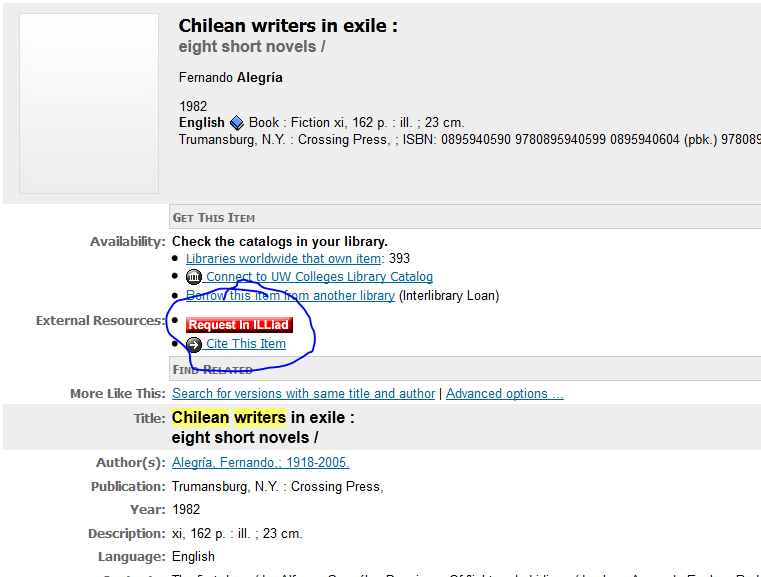 In this case, the title Chilean Writers in Exile would be an excellent request to make. Click on the title to get to the next step. 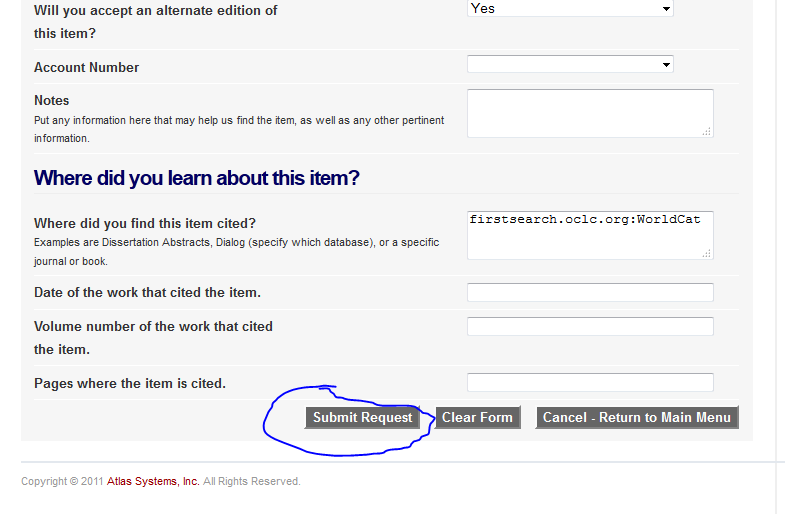 Look for the "Request in ILLiad" link and select it. The Illiad login form opens. Log in with your last name and your student ID (library card) barcode number. The ILLiad form appears, already filled out. 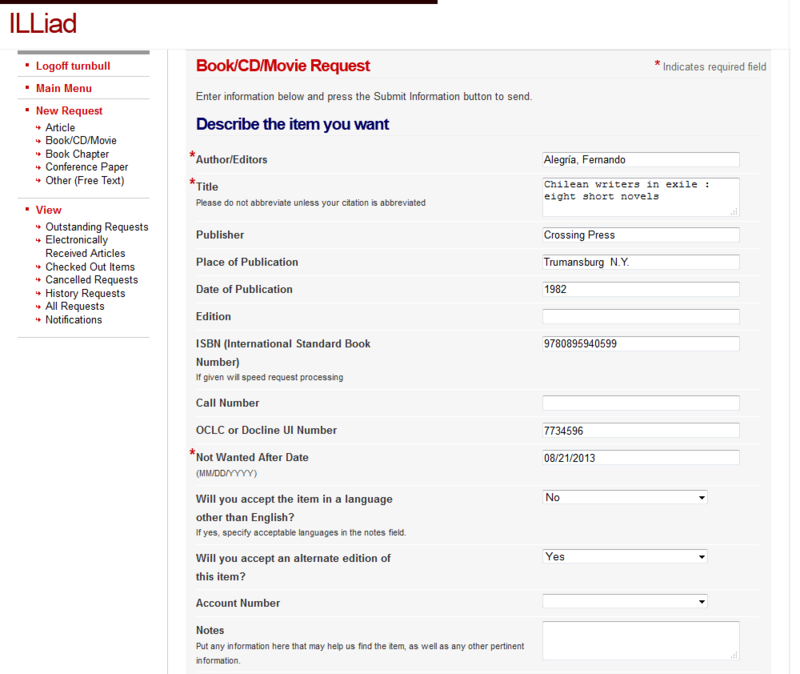 Just scroll to the bottom of the form and select "Submit Request." You will get a message showing that your request was successfully made. The library will send you an email when the item has arrived and is ready to pick up. 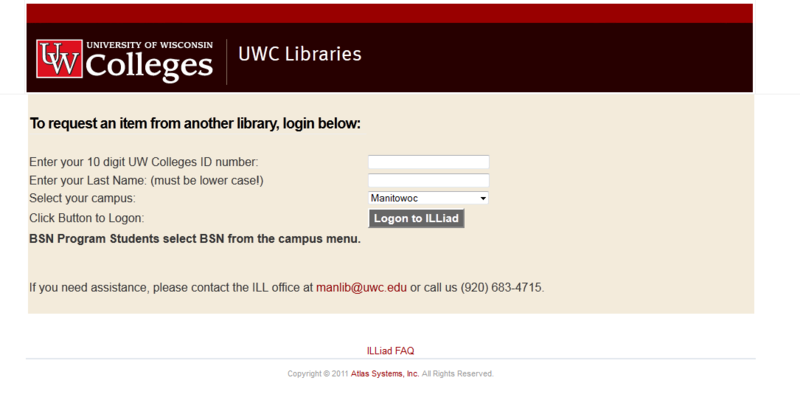 Log in to ILLiad to keep track of the status of your request.